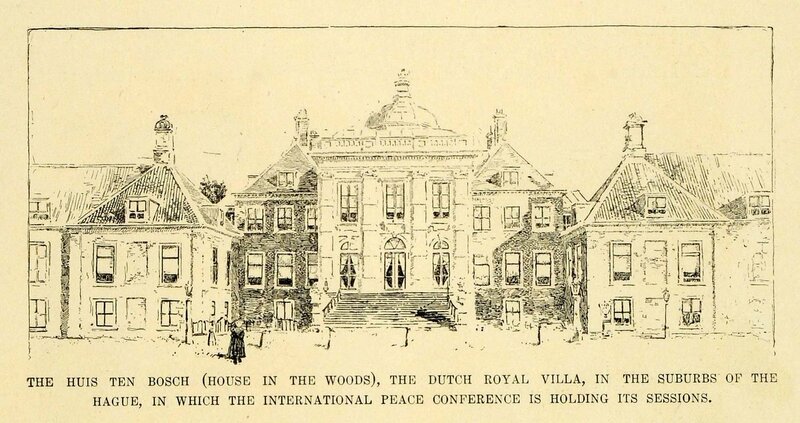 A newspaper drawing of the 1899 Peace Conference site in The Hague. Though women could not participate in the conference, Bertha von Suttner was in attendance and held many salons in a nearby hotel. For the second year in a row, a master class on Bertha von Suttner will convene at The Hague in the Netherlands. I’ll be sharing some of my research on Bertha and her husband, Arthur, focusing on how the two of them blended the personal and the political to cultivate a powerful sense of shared empathy, a concept that had yet to be fully developed at the time. The three-day seminar will take place at the Peace Palace (which Bertha helped to conceive) from June 16-18.